Christmas is a practically a universal holiday, although it is true that each country has its own particular way of celebrating it. In Norway it is customary to hide the brooms so that the witches don’t find them, in Germany St Nicholas’s Day is celebrated, in Ukraine the trees are covered with spider webs and in Latvia a poem is always recited before each gift is opened. These peculiar practices make the party diversify and, now more than ever, it is so interesting for tourists from all over the world to discover them. If we focus on Spain, our traditions are very diverse: from the delicious roscón de Reyes or turrones, through to the 12 grapes to start the New Year or the Nativity scene that always accompanies the tree inside the houses. However, without doubt, the most awaited event that officially kicks off the festivities is the Christmas Lottery. 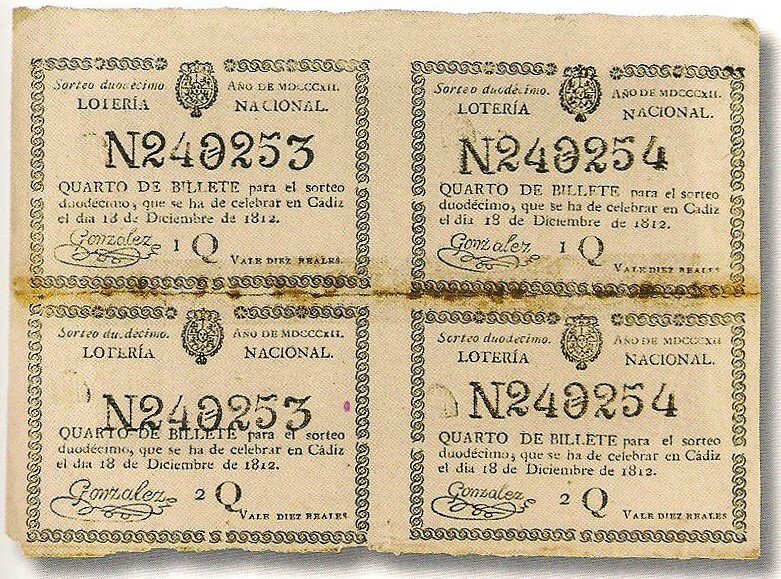 The first ever raffle of the Christmas Lottery was held in Cadiz – back then the capital of Spain – on 18th December 1811, even though it wasn’t officially called ‘Extraordinary Christmas Raffle’ until 1892. Since the very beginning, the children of the San Ildefonso School were in charge of announcing/singing the numbers and prizes during the draw, a tradition that has been maintained to this day. Their particular songs have survived time, even adapting the letters from pesetas to euros and, with prizes that have gone from 8,000 pesetas in its first edition to 4 million euros to be delivered this 2018 by ‘El Gordo’ (the leading prize). 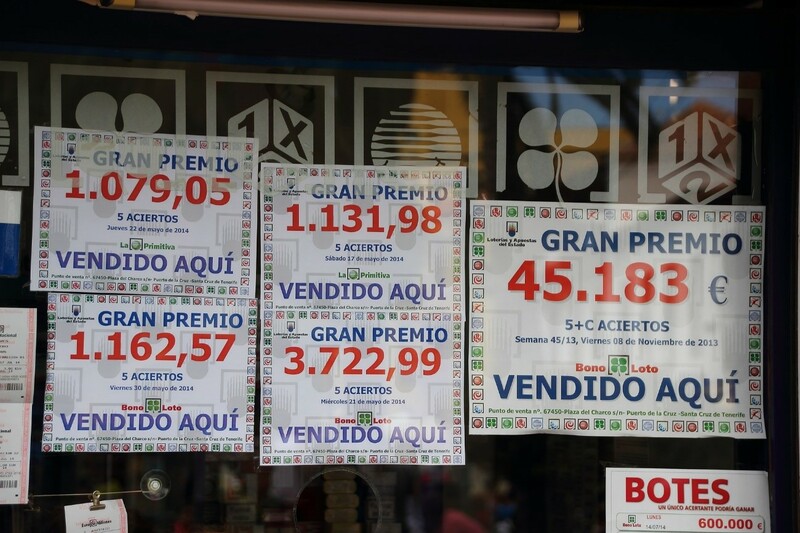 One is not aware of the importance of the Christmas Lottery in Spain until one completely experiences it. Months in advance, the different administrations begin to sell the tickets and, in certain places such as Doña Manolita (in Madrid), La Bruixa D’Or (in Sort, which means ‘luck’ in Catalan) or even the Granadilla gas station (in southern part of Tenerife, a few miles away from the Hotel Suite Villa Maria), queues of people do not stop looking for the lucky ticket. Also in November, Loterías y Apuestas del Estado (the public organization that manages the raffle) launches the traditional advert for the Christmas Lottery. It is one of the most awaited TV spots of the year and the story is always based around the way peoples’ lives change after winning the prize. Twitter is full of comments about the ad and viewing it becomes a must. But what is the 22nd of December really like? Televisions change their programming to broadcast the raffle, newspapers get extra editions and, suddenly, everyone in Spain knows some “friend of my brother-in-law’s cousin” who has been lucky. The children of San Ildefonso who have been lucky enough to sing/announce ‘El Gordo’ are interviewed for days, the champagne rains in all the points of the country where there have been prizes and we all check up on our respective lottery tickets, just in case it is awarded with some euros. As we have previously mentioned, buying lottery is an almost obligatory tradition, but the truth is that the probability of winning a big prize are quite low. Coinciding with the arrival of the Three Wise Men, on January 6th the Lotería del Niño (Lottery of the Child) also takes place, in which the raffle prizes are not so significant, but are still quite important. In fact, we refer to it as a second chance because many of those who only recover the 20 euros that the Christmas Lottery ticket costs, usually try their luck again with El Niño. If this Christmas you decide to spend your holidays in Tenerife or anywhere else in Spain, we recommend that you also try your luck and live the moment with the same emotion that we do. Stay tuned to our Facebook page because this year we want you to be more involved than ever in this important Christmas tradition.